Should replacement parts, spares or components be required to restore the equipment to the required operational standard, unless otherwise stated or agreed, these parts will be charged at current list prices. * The above call-out rates are based upon work being carried out during Harrogate Automation’s Normal Working Hours (08:30 – 16:30). If you wish work to be carried out outside of Normal Working Hours this can usually be arranged but may result in additional charges being incurred. Should any additional charges be required as a result of the specific circumstances of the work or location then these shall be notified and agreed with the customer before the work is carried out. All repairs, one-off services, maintenance and repairs will be carried out in accordance with Harrogate Automation Ltd’s Terms and Conditions. These are available on request. 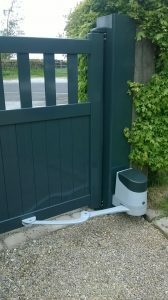 It is advised that you keep your electric gates well maintained and regularly serviced. 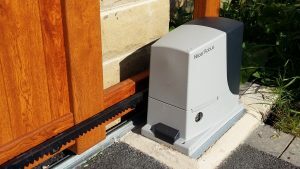 It is a requirement of all warranties for automation equipment that gates are kept in good working order and the warranties will become void if the gates not properly serviced. A regular service and maintenance will also prolong the life of your gates. We are happy to offer our new and existing clients an annual servicing agreement. We ask the client to pay a one-off, upfront cost for the agreement. As the service offered will be tailored to your specific gate the price of the service and maintenance agreement will vary. The price will take into account various factors relating to the gate (for example, whether the gate is a commercial use gate with a large amount of daily traffic or a domestic gate). 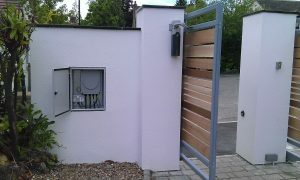 The type of gate, the kind of motors involved and the nature of the system installed will also be taken into account. We will discuss these factors with you in advance and you will be given a clear, quoted price. A significant element in the pricing of the service depends upon the frequency of the servicing and maintenance that is recommended. Many domestic gates will only require a single annual service whereas a commercial gate with high traffic will usually require a minimum of 2 services per year. What will be carried as part of the service will be tailored to the individual gate but what is typically included in a service is set out below. In addition to the service, or services, Harrogate Automation Ltd will also offer its clients up to a 20% discount on any replacement parts required during the year as well as a 20% discount on any subsequent call-outs. Harrogate Automation Ltd engineers and staff receive regular and extensive product training, both in-house and at the product manufacturer’s works, covering all aspects and types of physical security equipment. Included in the training programme are regular updates on Health and Safety Legislation. The company training programme ensures that each engineer has the necessary knowledge to perform any repair both safely and competently.